Solar power is the power source that is most available to everyone. You do not have to go into the bowels of the earth, use nuclear reactors, fossil fuels, or create pollution as a by-product. The Holland-based company, Soldius, is one of the many companies that are now taking advantage of this power source. At the 2009 CES, Soldius showed off one of its products, the Soldius 1 Universal Solar Charger. 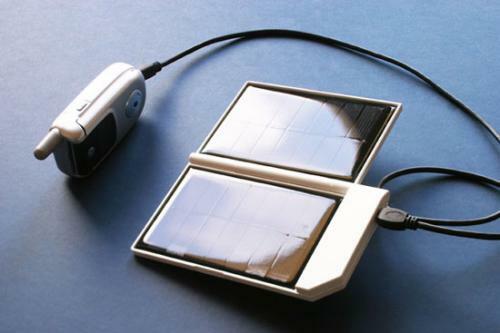 This solar charger is small and light, measuring only 135mm x 80mm x 10mm when folded and weighs just 85 grams. This innovative charger can fit into your pocket and almost anywhere. You will not have any trouble finding Soldius 1 a spot in your gear bag. This low cost but highly beneficial solar charger includes MSPT and is proven environmental friendly. Charging time under direct sunlight is 2 to 3 hours. In addition to the solar charger, this green device also includes a miniUSB cable with 7 tips which fits various Apple iPods, Samsung, Nokia, Siemens, Sony Ericsson, Blackberry, and Motorola phones. The Soldius 1 are not compatible to all electronic devices, but you can check them against Soldius’ list. This solar gadget retails for about $110.